University of Kentucky Law professor Josh Douglas is already well-known in the field of election law, particularly with regard to his work on the interplay between state and federal protections for voting. But a new piece from Josh takes a very practical and entirely non-legal approach to the question of improving election performance. Mistakes happen – especially at the polls on Election Day. To fix this complex problem inherent in election administration, this Article proposes the use of simple checklists. Errors occur in every election, yet many of them are avoidable. Poll workers should have easy-to-use tools to help them on Election Day as they handle throngs of voters. Checklists can assist poll workers in pausing during a complex process to avoid errors. This is a simple idea with a big payoff: fewer lost votes, shorter lines at the polls, a reduction in post-election litigation, and smoother election administration. Further, unlike many other suggested election reforms, this idea is likely to gain traction and see actual implementation. That is because the idea is “non-legal” in nature, in that it comes from the private sector and is achievable outside of the political process. Given the structural impediments to legislative or judicial change, non-legal solutions such as the use of checklists are the way forward in election reform. An effective checklist has various attributes. First, there must be a clear “pause point” when the user must stop doing the task and reference the checklist. This will ensure that the checklist actually hits upon the important parts of the process. Second, the checklist must be the correct type for the situation. [Atul] Gawande explains two main kinds of checklists, which he calls “DO-CONFIRM” and “READ-DO.” When using a DO-CONFIRM checklist, the individual completes several tasks from memory and experience but then stops at set points to confirm that he or she has done each one. That is, the user proceeds through the activity, having completed the process before many times, but pauses throughout to reference the checklist and ensure that nothing is missed. When using a READ-DO checklist, by contrast, the individual references each stated task and then completes it in turn. 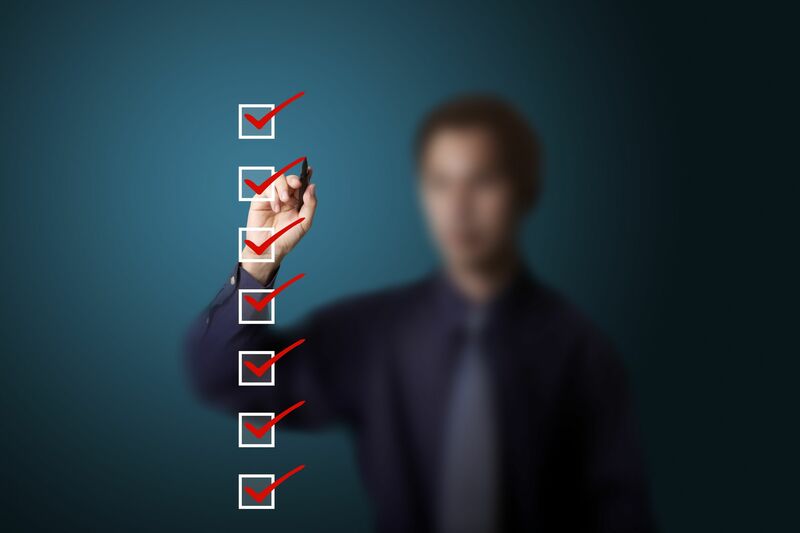 DO-CONFIRM checklists are best for routine processes in which pausing throughout can help to ensure everything was done; READ-DO checklists are best for activities that occur intermittently and require certain steps in a certain order or otherwise benefit from the user going through the task one step at a time. Douglas then goes on to apply these approaches to checklists targeting voters and pollworkers, noting how the general rules and formats (READ-DO and DO-CONFIRM) work in different contexts. This is a fantastic piece – not just because of the content, but because it represents an effort by an expert in one field (election law) to look beyond his own discipline to find solutions to the challenges facing election administration. Thanks to Josh for writing and sharing this piece – make sure you put reading this article at the top of your to-do list very soon! Be the first to comment on "Checklist Manifesto: Law Professor Josh Douglas’ “Non-Legal” Prescription for Better Elections"